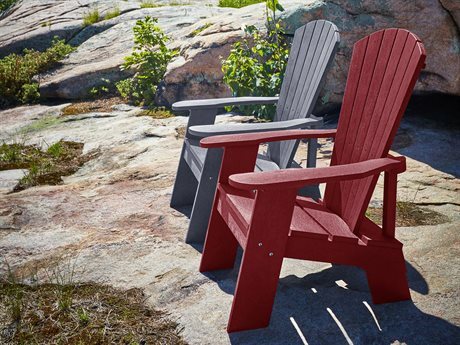 Brand Story Captiva Casual furniture offers a fine line of durable outdoor furniture. 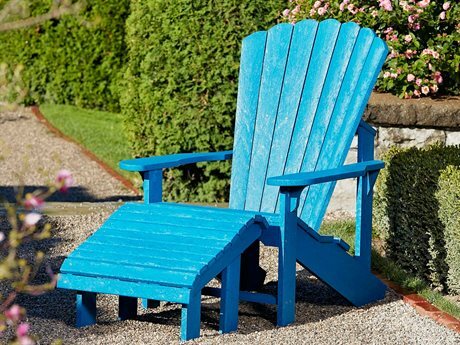 Their signature adirondack chairs bring casual comfort and a classic look to any open air setting, from pool decks to lakeside docks. Captiva Casual was founded with a two-pronged mission. 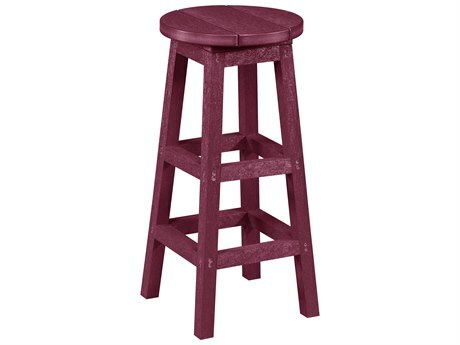 The innovative brand strives to reuse plastic bottle caps discarded in bodies of water and landfills and to manufacture beautiful, durable furniture of an unbeatable value. 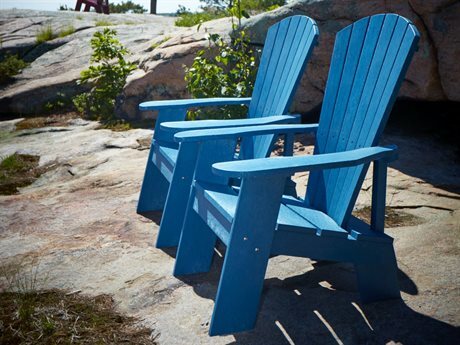 Every purchase of an piece of Captiva Casual furniture is an investment in the natural environment and sustainable future of the planet. The company crafts its inventory from recycled materials and uses sustainable manufacturing methods to further reduce its production plants’ detrimental impact on the environment. 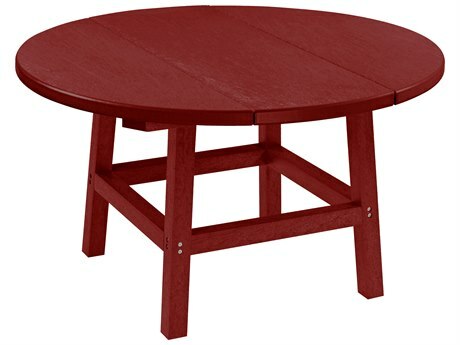 All furniture is created from polyolefin, a dense, high quality plastic that resists damage from weather, scratches, and rot, meaning pieces retain their stunning appearance over years of outdoor use. 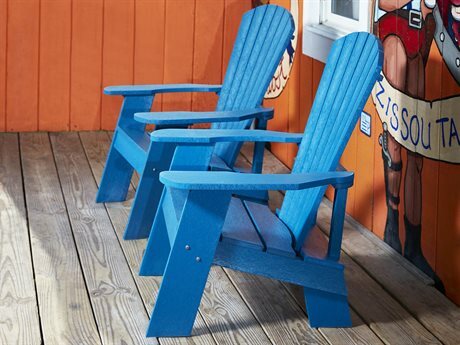 Captiva Casual furniture pieces are truly upcycled products, and a great choice for environmentally-conscious consumers who admire and appreciate the classic aesthetic of adirondack chairs. 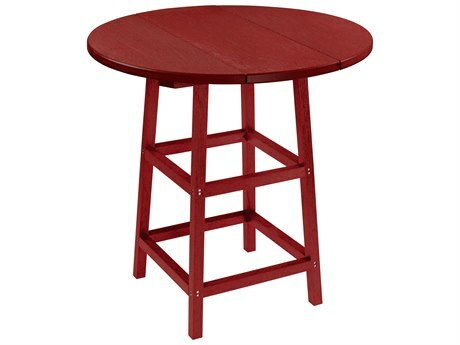 All furniture is proudly produced in Canada, and ships throughout the United States. 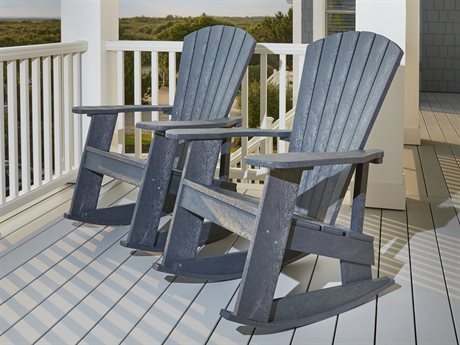 The Captiva Casual Furniture Product Line Captiva Casual furniture’s adirondack chairs are an environmentally-friendly option that enable anyone to achieve a classic dockside aesthetic. Each chair is manufactured from the caps of upwards of 27,000 plastic water bottles and weighs approximately 54 pounds. 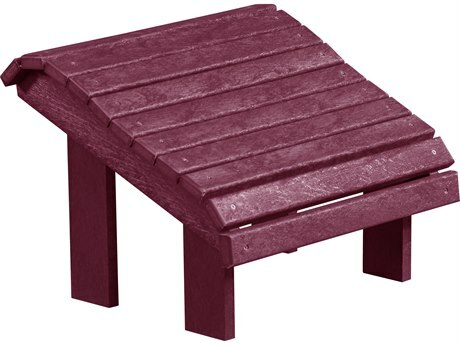 With a weather resistant surface and heavy weight, these pieces make for a sturdy addition to any outdoor environment, even in windy or inclement weather conditions. 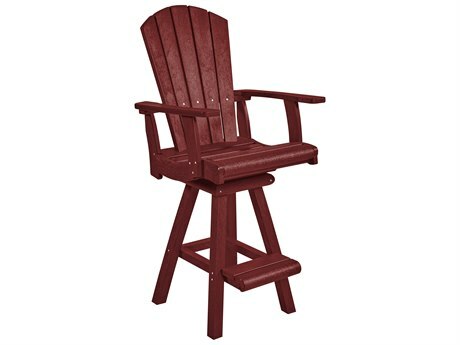 Each chair can hold up to 500 pounds without cracking or splintering. 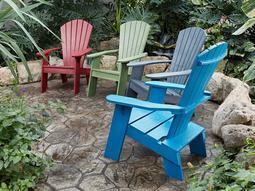 Chairs can be left outdoors all year round and do not heat up even when exposed to the sun for extended periods of time. 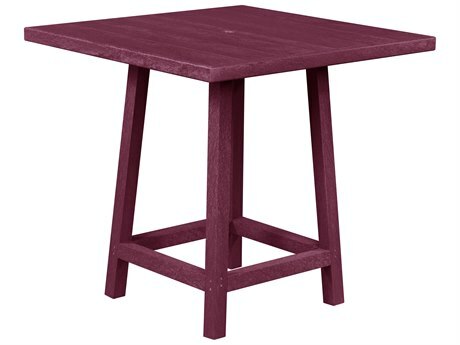 Recycled plastic chairs are a popular substitute for solid wood furniture pieces. 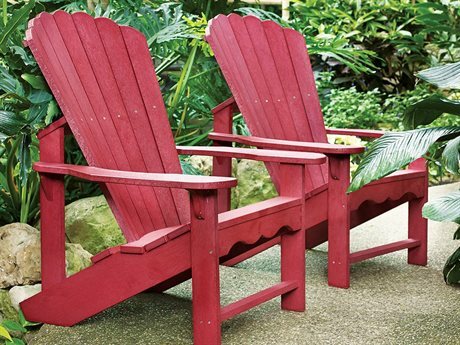 These chairs replicate the look and texture of real wood for a luxurious outdoor arrangement that requires zero maintenance, staining, or painting to retain its appearance. Pieces are easy to clean and come equipped with a limited warranty for residential consumers to protect your purchase from defects and other damage that may occur during manufacturing. 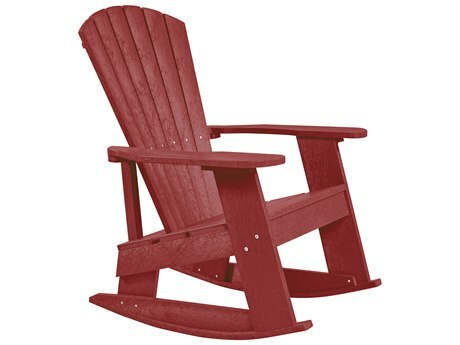 Captiva Casual chairs ship flat and assemble with ease and only a few simple tools. 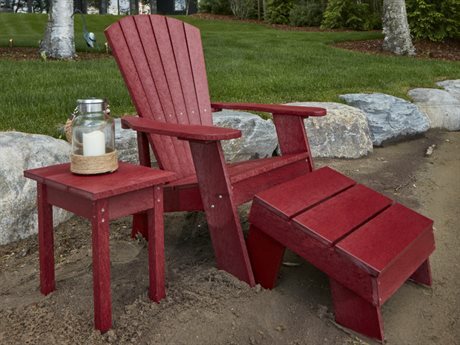 The Captiva Casual Furniture Aesthetic Captiva Casual furniture adirondack chairs bring a classic look to any outdoor setting, with a refreshed twist. The Captiva Casual line updates a classic staple with modern lines and modern materials. 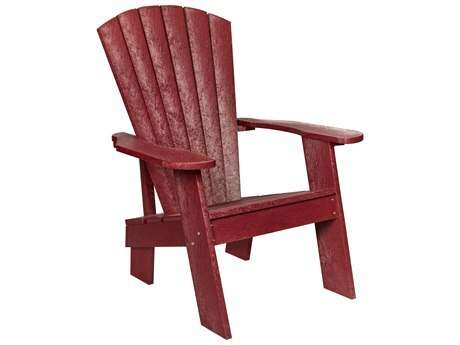 Design features include wide seats, reclined backrests, and generous armrests for chairs that are as laid-back and inviting in appearance as they are comfortable. 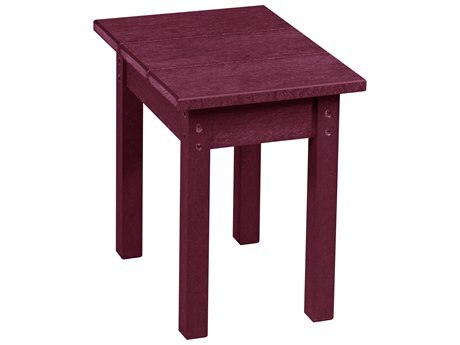 The chairs are available in multiple styles and a range of vibrant colors. Resistant to fading and damage from UV rays, these adirondack chairs maintain their vibrant, eye-catching appearance over years of use, despite exposure to the elements. Pieces from Captiva Casual may feature spots of discoloration or uneven textures in some areas. These marks of character are all part of what make the brand’s furniture truly unique and environmentally friendly. Distinct marks are a natural effect of the plastic bottle caps recycling process. 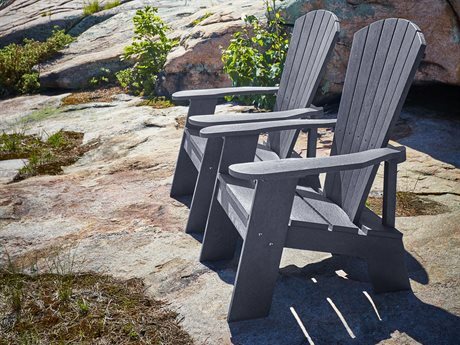 Stylish, sleek, and enduring in appearance, Captiva Casual chairs are an investment in your outdoor space for years to come and an investment in sustainable furniture manufacturing.